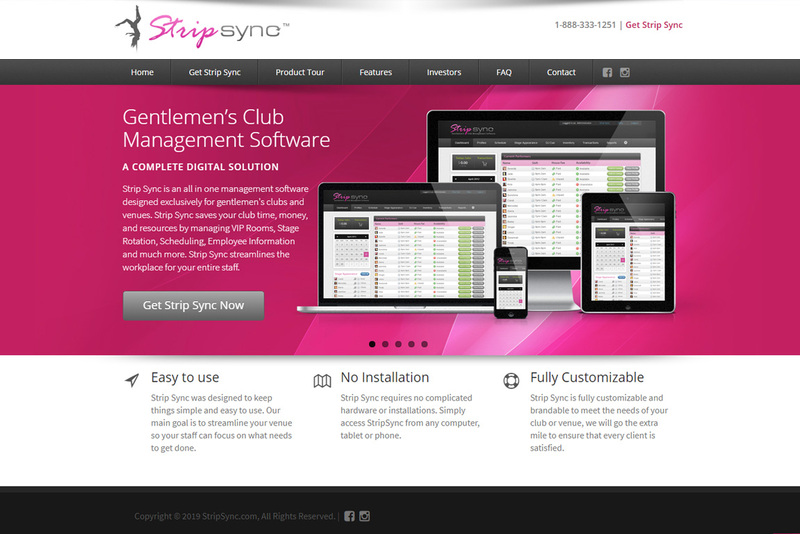 Strip Sync is an all in one management software designed exclusively for gentlemen’s clubs and venues. Strip Sync enhances workflow and organization for management, staff, entertainers, and DJ’s. It provides seamless management of information, communication, scheduling, and much more. ClientStrip SyncServicesApplication Development, Web & Infrastructure Hosting, Web Design, Web Development, E-Commerce, Promotional Design, Marketing Strategy, Branding, Search Engine Optimization, Social Media Marketing, and more.